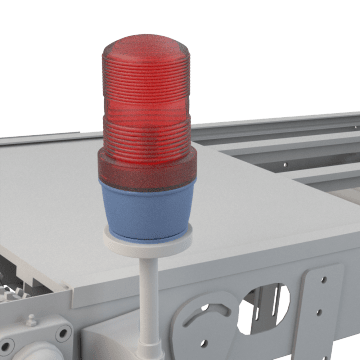 Use these lights to indicate the status of equipment and processes so that personnel can attend to them or address potential safety issues. Status-indicating lights can be quickly seen across large distances, and different colors of lights can be used to indicate various statuses, such as green for "on" and red for "off." Indicate safety or on/off status using these single-color lights, which produce a steady color when on.